LABY was run as a potential normalizing gene. Master mix calcs are here. Plate layout, cycling params, etc. can be found in the qPCR Report (see Results). 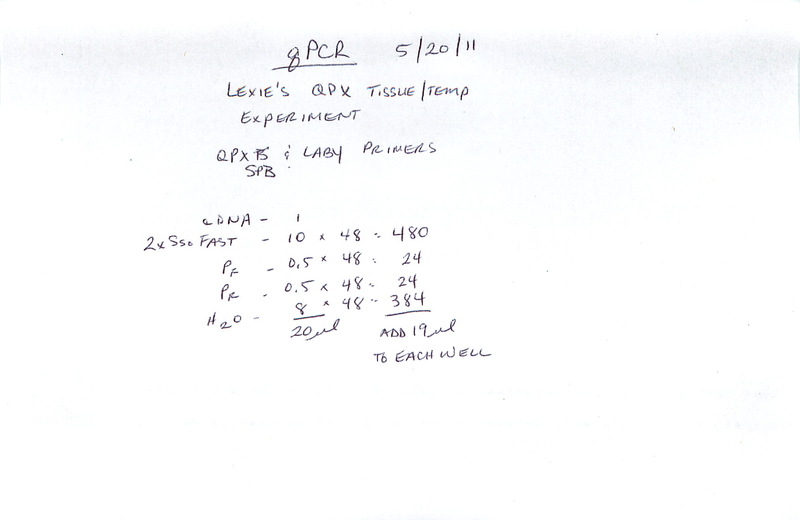 Samples were run in duplicate and were labeled according to what was written on the tops of Lexie’s cDNA tubes. LABY primers worked, but the melt curves don’t look that good. I’ll let Lexie worry about the rest of the analysis.